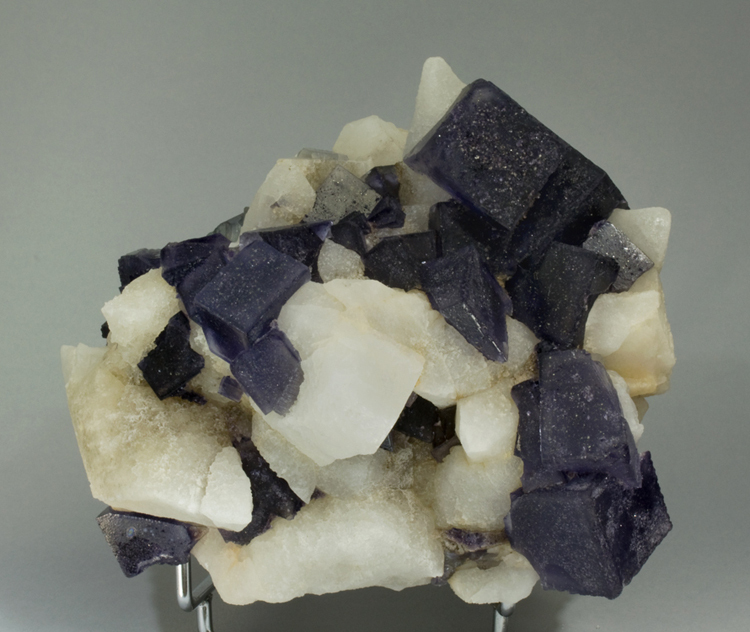 From the start of operations up until the present day La Viesca has produced numerous pockets that have provided mineral collectors beautiful examples of fluorite that are often associated with quartz and calcite. 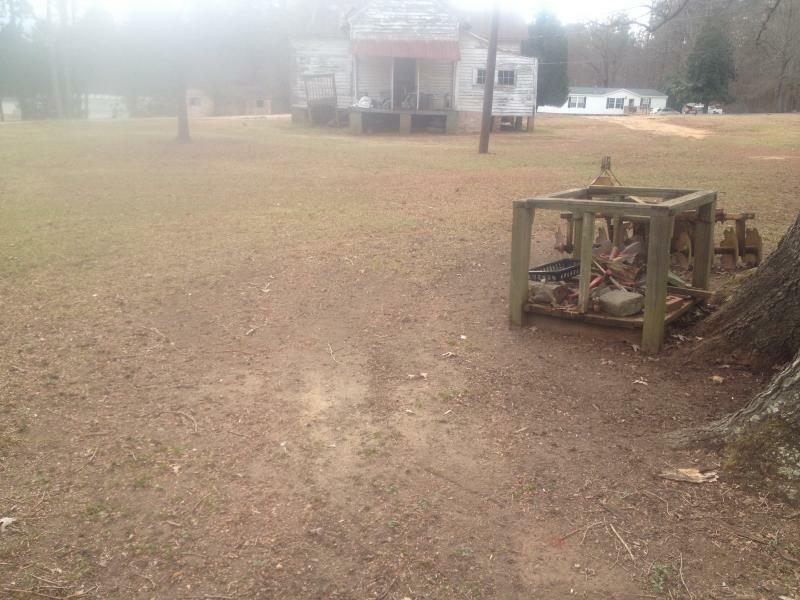 This well-known mine has had a precarious life with a series of isolated periods of operation over the years. Fluoruros S.A. worked it in the seventies during the last century as a mine and then the same company continued to operate the deposit as an open cast operation until they closed it in 1985. Economic circumstances, and also issues around the owner of the concession, Minas de La Camocha, meant that it remained inactive for about 15 years. The involvement of Preminor S.L. in 2000 ended this period of inactivity and they started a period of investigation that lasted about four years. 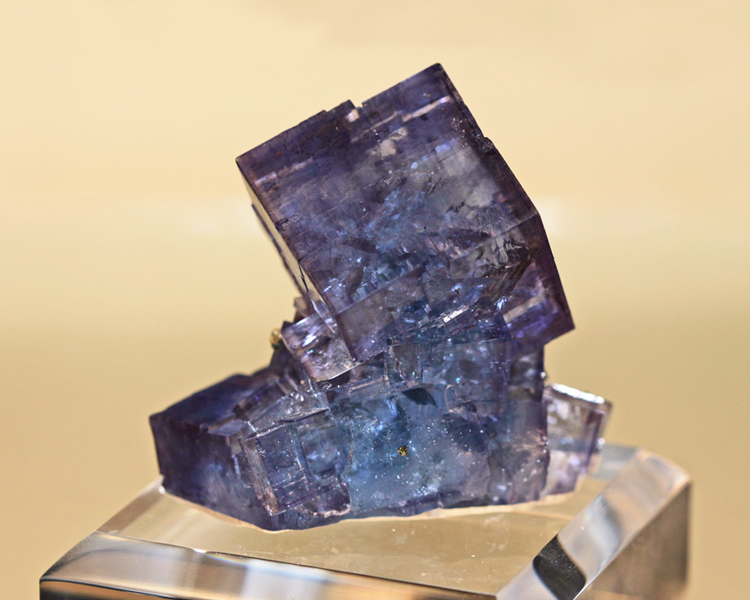 Since 2004 the mine has once again been in production producing fluorspar. Normal production has allowed the finding and removal of numerous pockets which have included great specimens that have contributed to the fame of this mine both within Spain and internationally. During the period of inactivity the ease of access to the mine meant that a large number of both Spanish and international collectors visited it and managed to find and collect many small and large pockets. During a period of four or five years, more of less during the period when Preminor was varying out its investigations, a team used significant mechanical assistance to just look for mineral specimens. This find was almost made by accident, when some collectors digging through what seemed to be just a pile of earth found one of the old adits that had been sealed off on purpose by Fluoruros so as to avoid accidents once mining activities had stopped. 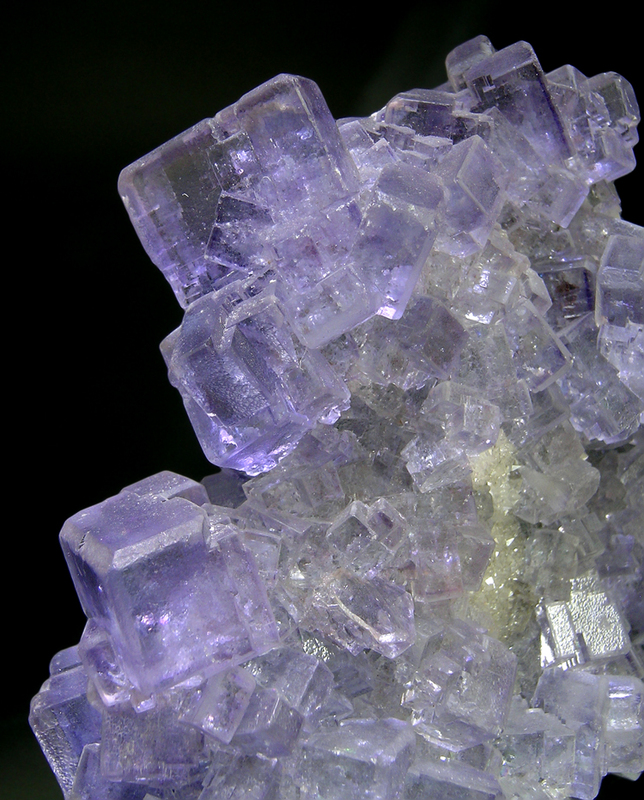 The started to explore this adit and in a rise off it they found small cubes of fluorite that led them to a tube that was 4m long and 1.2m in diameter. 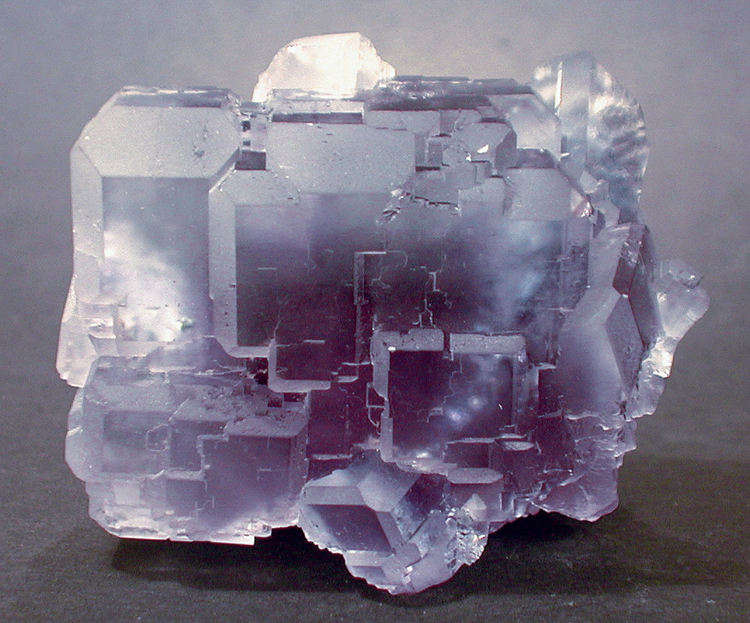 From thus magnificent cavity they extracted some very significant fluorite with a combination of cube and dodecahedron. 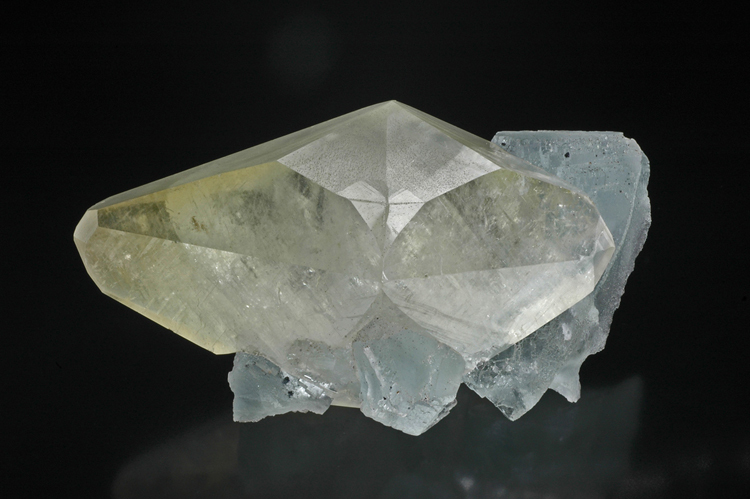 The color varied between sky blue and dark blue-green and they normally grew on large scalenohedrons of calcite that sometime had amber tones. Given the association the specimens from this pocket were very sought after for their superb aesthetics and beauty. Persistence by local collectors from Gijon produced the first of the well-known recent finds from La Viesca. Its removal took over six months and required a generator and a pump to remove the water that gathered inside the pocket, which in turn came from the small stream that gave the pocket it name (‘Reguerín’ means stream in ‘bable’, which is the language spoken in Asturias). Over 1500 specimens of all sizes were removed from the pocket. 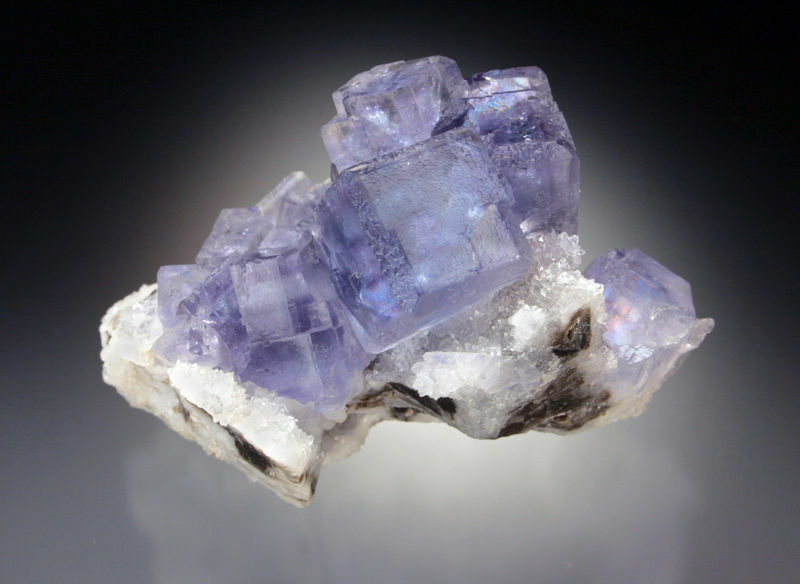 The majority of the crystals were light sky blue, with deeper violet phantoms. Any calcite that might have been present had been dissolved by the waters of the stream. One of the notable features of the specimens from the pocket is that they are growing on a matrix that is made up of a layer of small crystals of Quartz and that these are also partially covered by micro crystals of quartz. 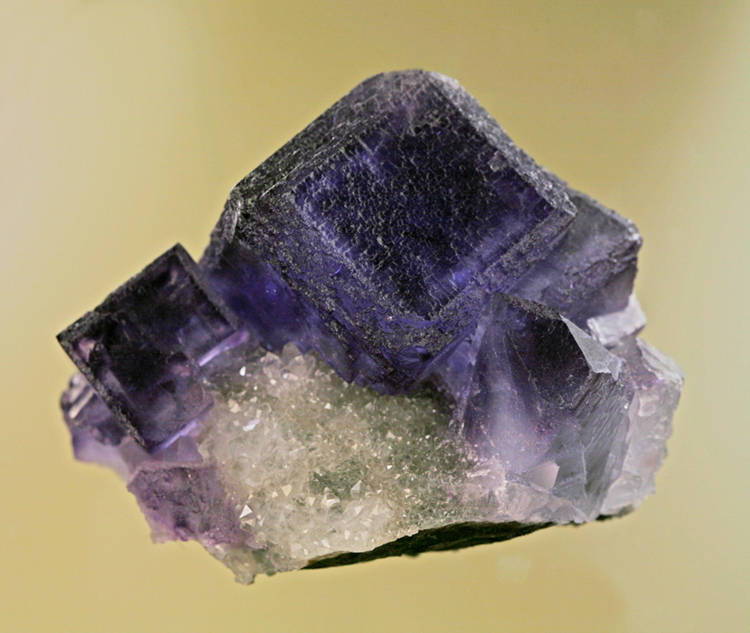 Named after an incident that happened during the excavation of the pocket (‘tiro’ means shot): the crystals from this pocket are large and either violet or very deep blue, often with very notable zoning which is often called growth phantoms. In reality this was a series of pockets that were found close to the Reguerín, hence their name. The specimens have a more intense color and are more brilliant than those found in the Reguerín. One very notable feature is the way they change their tone when the lighting is changed, varying from sky blue to intense mauve. As is normal in the La Collada area the form is a combination of the cube and dodecahedron, that is to say a cube with truncated edges. Named after that fact that it was found in adit number three of the old mine. It was a large pocket, bigger than two cars, and with over 6000 specimens. While there were lots of specimens, as often happens, not all of them were of good quality. Some (the more blue pieces) had a form that was similar to that of the famous specimens from the old Josefa-Veneros finds, that is to say with modified edges. 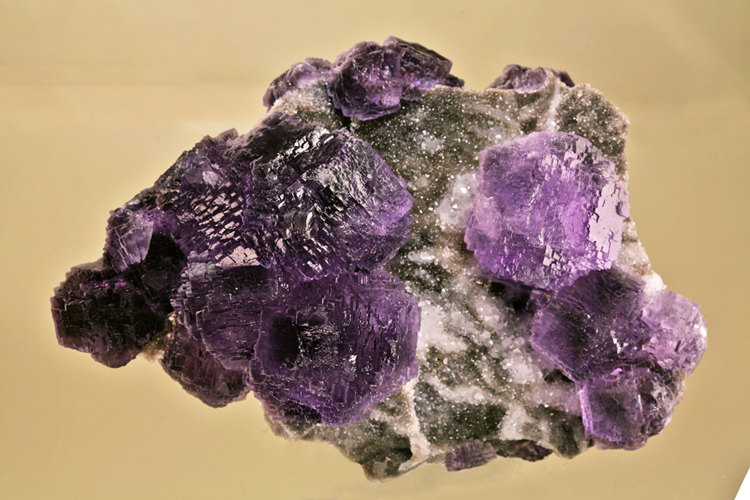 Others (the more intensely colored specimens) were very different from anything ever found before in this mine as they were really magenta instead of the sky blue so typical of the specimens found in the mine. 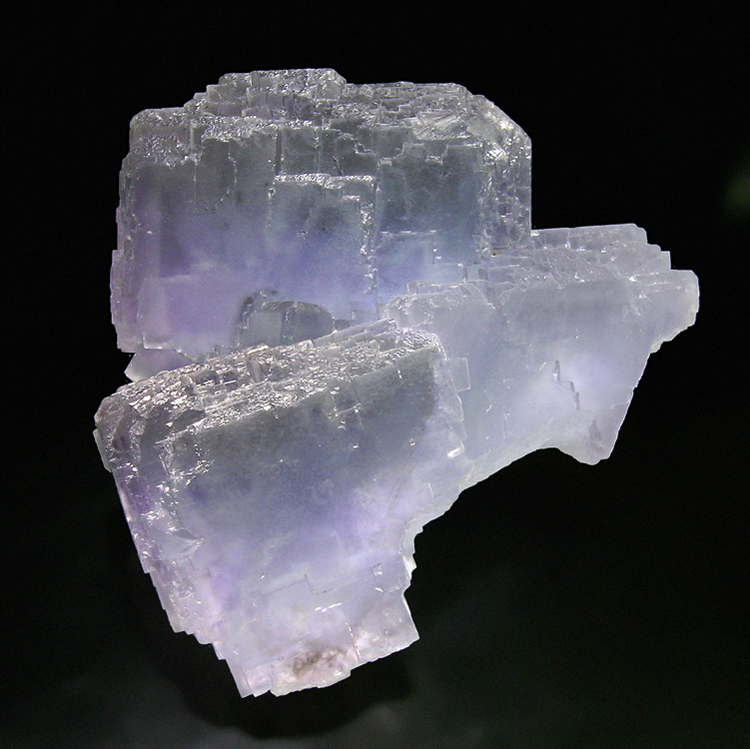 In both cases the white matrix is very characteristic of this find, and as was the case with Reguerin II the color of the fluorite changes from blue to violet depending on the type of light used. As is so typical of almost all the specimens from La Viesca the surface of the crystals is not really shiny but slightly satin. 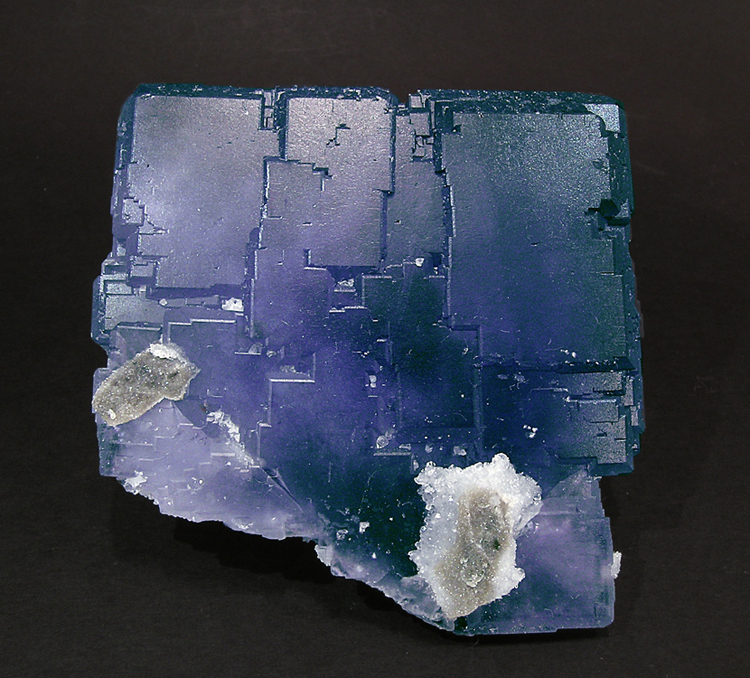 The reason for this is that there is a second generation of globular fluorite (similar, but on a much smaller scale, to that seen in India) that partially covers the surface of the first generation crystals. This can be seen very clearly when using a magnifying glass. 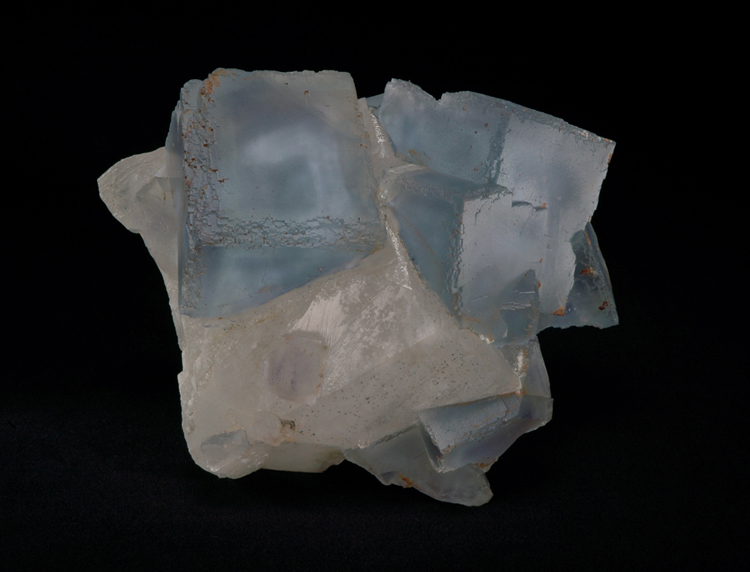 Named after the large amount of this carbonate that was found associated with the beautiful crystals of clean blue, large, very transparent fluorite. Found in an area that had man cavities and that was, as you can see in the map, near one of the mineral bearing faults that cross the mine. 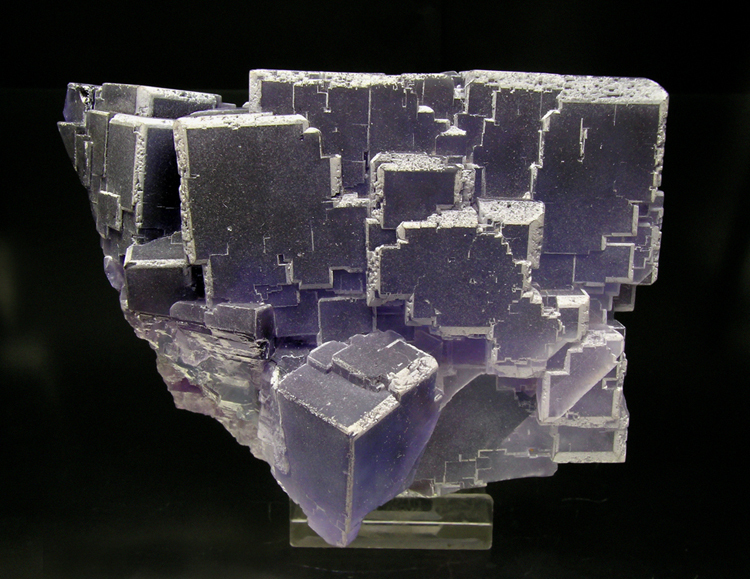 The form of the crystals is unusual for the area as the dodecahedron is the dominant form, instead of the cube. 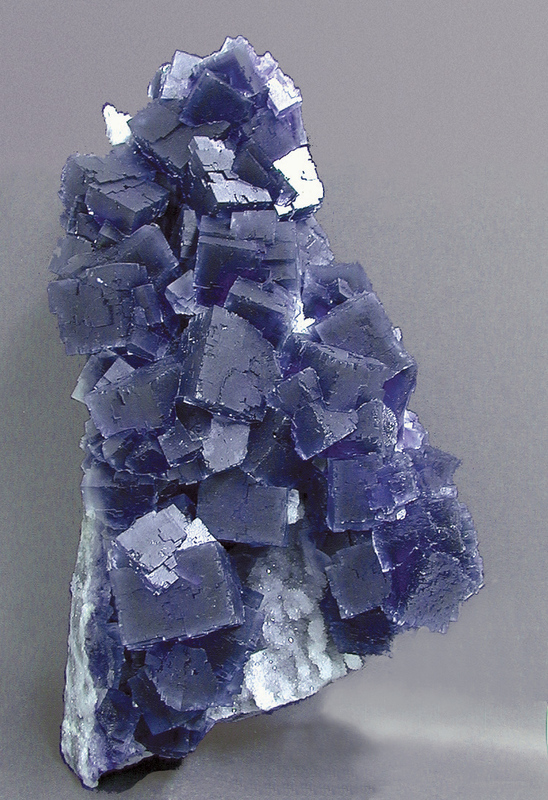 Named after the intense blue-black color of the crystals. In this case it really is very similar to the finds made on the 75th level of the Josefa-Veneros vein on the nearby La Collada operation. 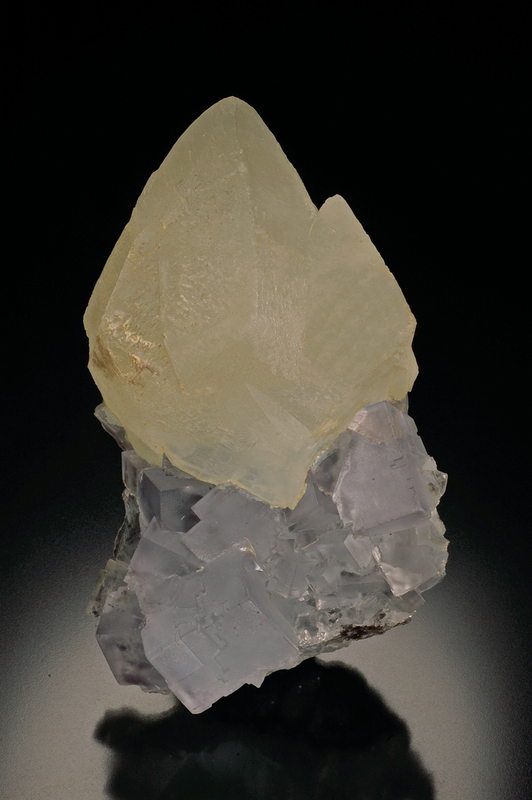 This was made in an area where there were numerous small faults and also lots of small to large cavities that were notable for the scalenohedrons of very shiny, honey colored calcite on which were placed beautiful cubes of pale blue fluorite that were up to 5cm across. 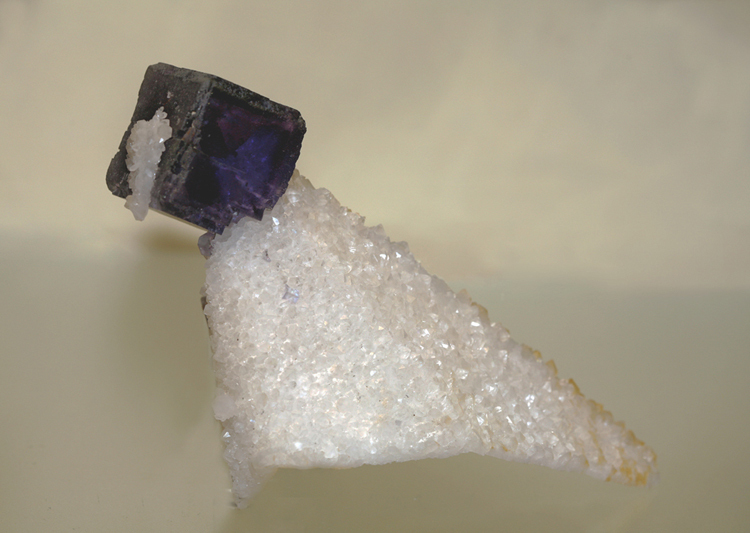 A small pocket that produced about twenty specimens with cubes of Fluorite of up to 5cm across, whose faces were cover with minute crystals of chalcopyrite and in some cases caramel sphalerite. What was really notable was that the brilliance was better than that seen in any other specimens from this locality and that there are internal growth lines that make the few specimens produced even more attractive. A really unique find for its beauty and very high quality. A pocket that the owner of La Viesca found on the surface of the mine, behind the service buildings, having noticed a small hole (‘Furaco’ in ‘bable’). 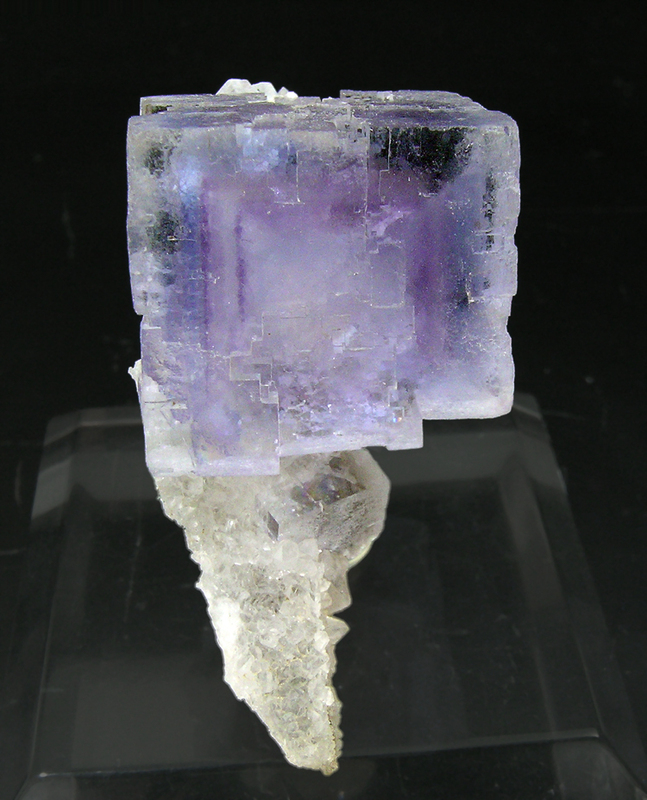 This cavity turned out to be 4m long, 2m high and 3.5m wide and it produced numerous fluorite specimens with crystals that combine a cube and a dodecahedron. 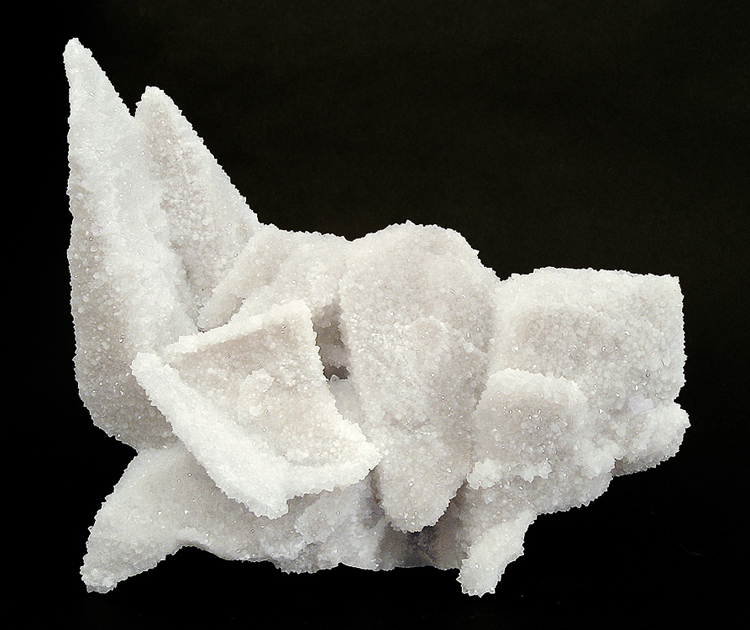 They are associated with large scalenohedrons of calcite, although the fact that the closeness to the surface and the presence of rain water means that the carbonate is not very attractive. 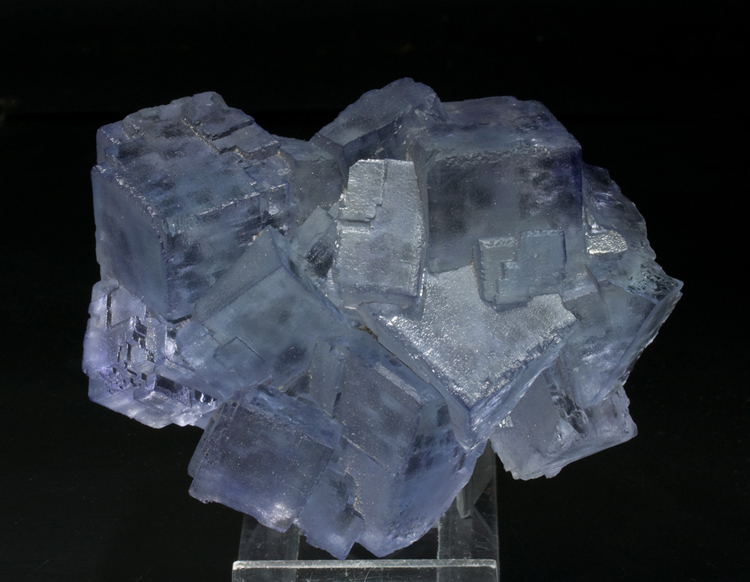 This produced lots of large, blue cubes of fluorite that were on calcite matrix that was in turn covered by small crystals of quartz. This is the last large pocket found so far, and maybe the best in terms of quantity, color, size, associations, as well as the appearance of weird forms of quartz epimorphosis of calcite scalenohedrons that look a little like religious robes, hence the name of the pocket. The best specimen from the pocket was called “La Superiora” (Mother Superior) and it weighed about 100kg. It appears as if nature and luck may have got together and said farewell to the late Fernando García Brugos as having given him the pleasure of recovering the last and best pocket from his mine, he died two months after it was found. 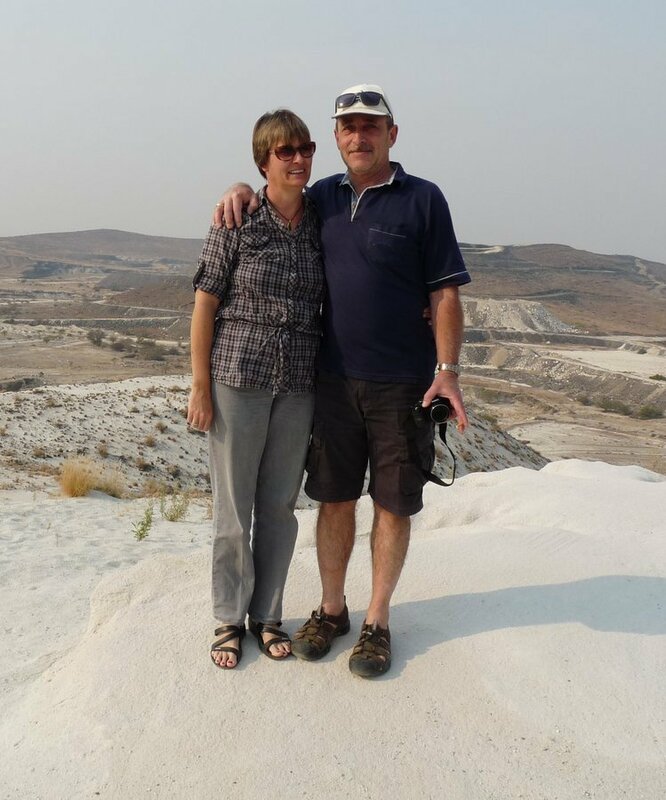 We are confident that in the very near future this locality will continue to provide marvelous things for mineral collectors, professionals and lovers with new finds that have not yet been made. As a new user to the forum I find this post to be incredible helpful, detailed, and well written. What a welcome to the forum man you just helped me get a good head start on what to expect here. Just joined this forum yesterday. I have been reading this great post and really am happy about the huge wealth of information both regarding localities and minerals, as well as the overall eagerness to help one another in this forum! 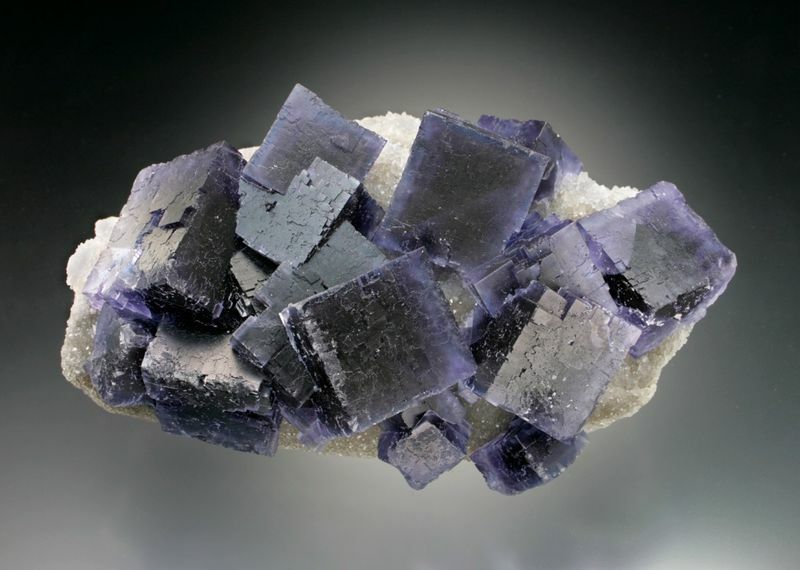 Regarding this post, I was wondering (as I live in Singapore (A Mineral-less Granitic island country in South East Asia), about the current finds of the Fluorites from La Viesca Mine seeing that mining is currently of an industrial nature. Are there any new interesting morphologies from this mine since 2011? These finds produced a large number of specimens, as did earlier finds in other nearby mines/areas. So you may be seeing these, as they are cleaned and sold? The last big pocket recognizable from this mine was the "Las Monjas" pocket. Is true that many other specimens came to the market after the find of "Las Monjas" pocket, but always with very poor details. 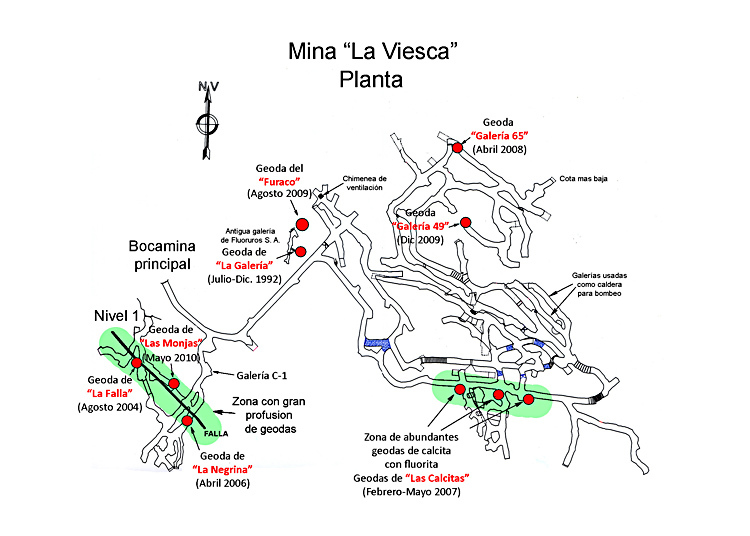 The operation of this mine is mostly industrial and currently they are plenty of difficulties to save specimens due some unfortunate incidents between the mine owners and a mineral dealer that happened after the exemplary find of "Las Monjas" pocket. So, unfortunately as the new finds are scattered in different places of the mine they are not identifiable by pockets as before. A sad situation, but unfortunately, all too common! acquired from Senor Fabre at the Ste Marie Aux Mines show in 2002. Acquired from Senor Fabre at the Ste Marie Aux Mines show, 2003.